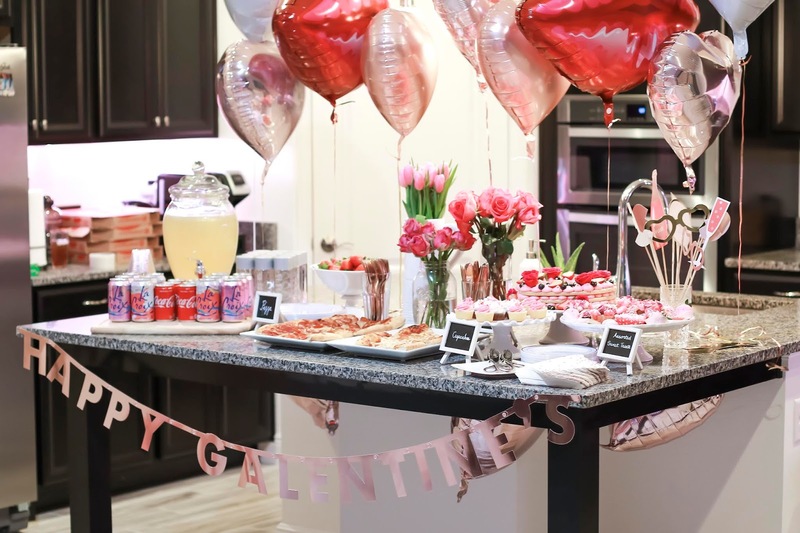 If you have been following the blog for a while, you would know I have a thing for Galentine’s parties. Last year, Kelly and I hosted a Galentine’s Day Tea Party which turned out to be epic, if I do say so myself. This year we wanted to do something a little more relaxed, and that’s when it dawned on me that a movie night would be perfect. The girls would wear their pjs; that way everybody would be cozy and not have to stress about what to wear. Movie food would be simple: popcorn, pizza and sweets…. Done! No stressing over the menu. All that was left was the décor, so I headed to my favorite inspiration website (pinterest) and put together a mood board, made a list and bought the stuff we needed. 1. Invitation – Decide on whom to invite. Send out invitations 2-3 weeks in advance and remember to set an RSVP date. Don’t forget to send out a reminder email the week before. 2. Décor – Don’t forget to add décor pieces to bring your idea to life. For example we used a red carpet, popcorn boxes, movie marquee drawn on a chalkboard. It’s all about the little details. 3. 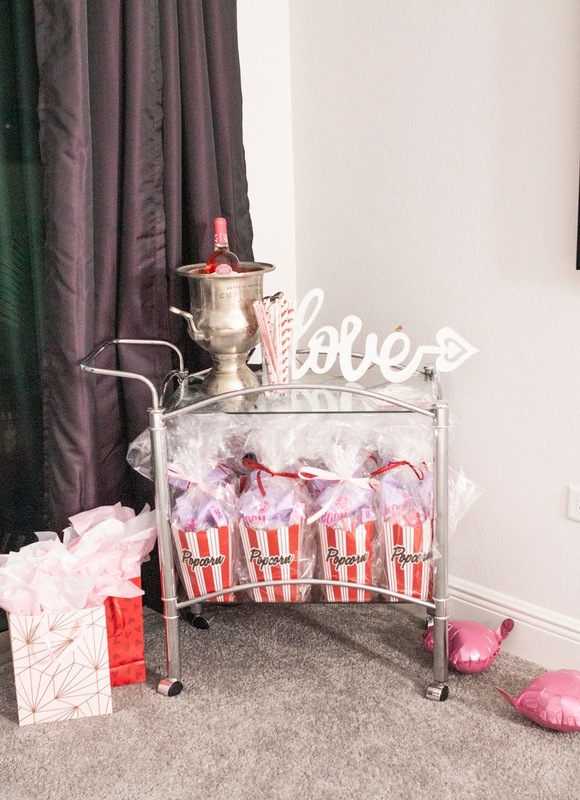 Plan menu – It’s a movie night so popcorn is a must! 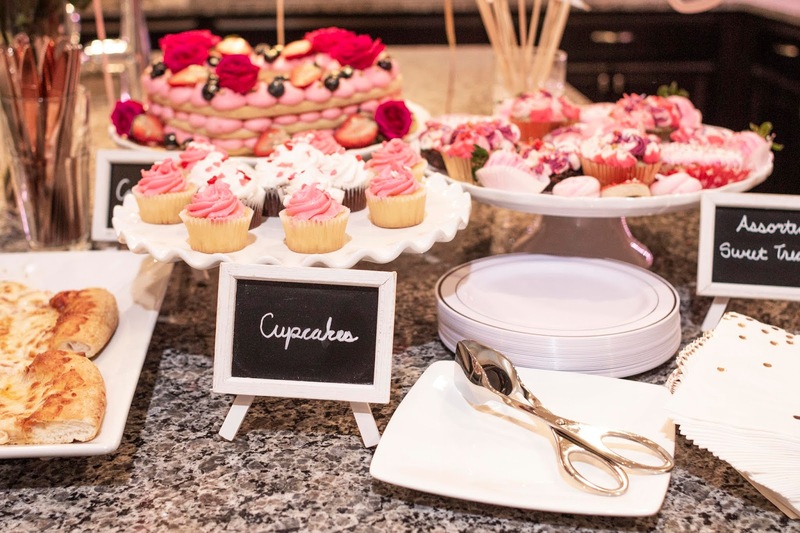 Add any other foods or treats you think you and your guests would enjoy. 4. Snack boxes – Put together concession snack boxes with treats. 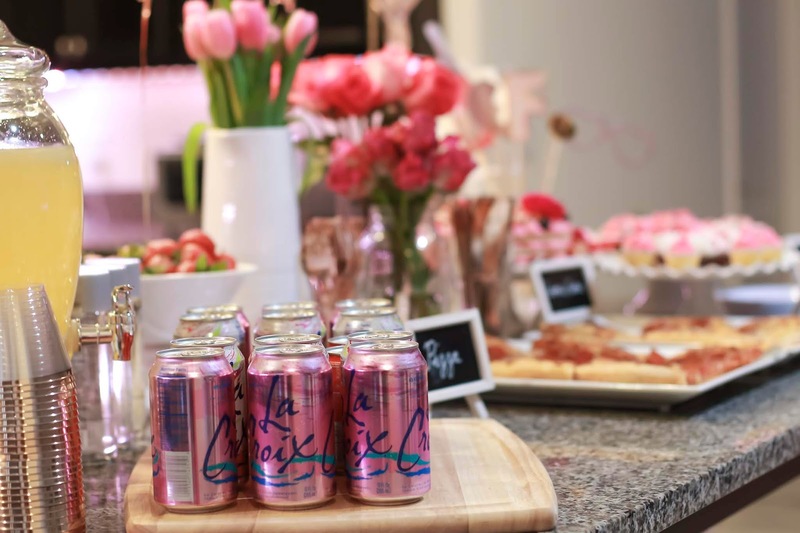 This party is super easy for you and your gal pals to recreate this Galentine’s Day! 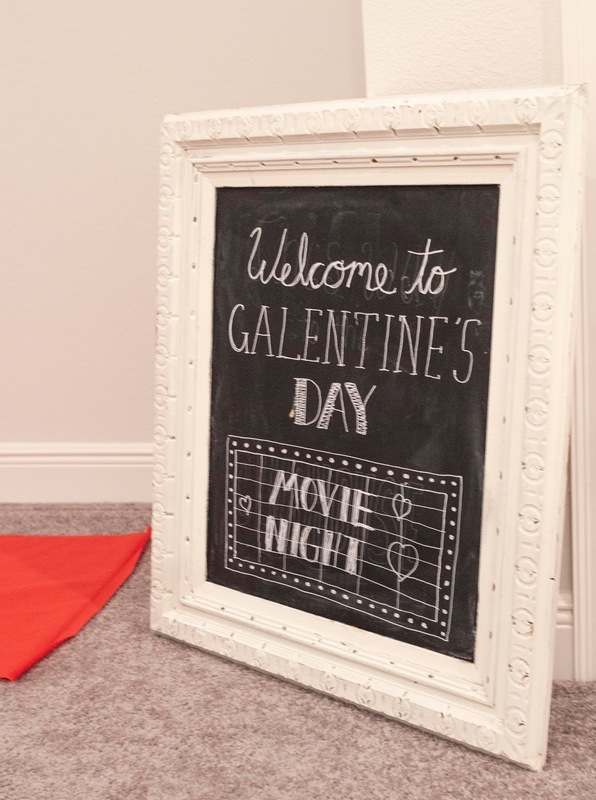 Are you celebrating Galentine’s this year? If so, let me know how you plan to celebrate in the comments section below. Until next time guys, thanks for reading. 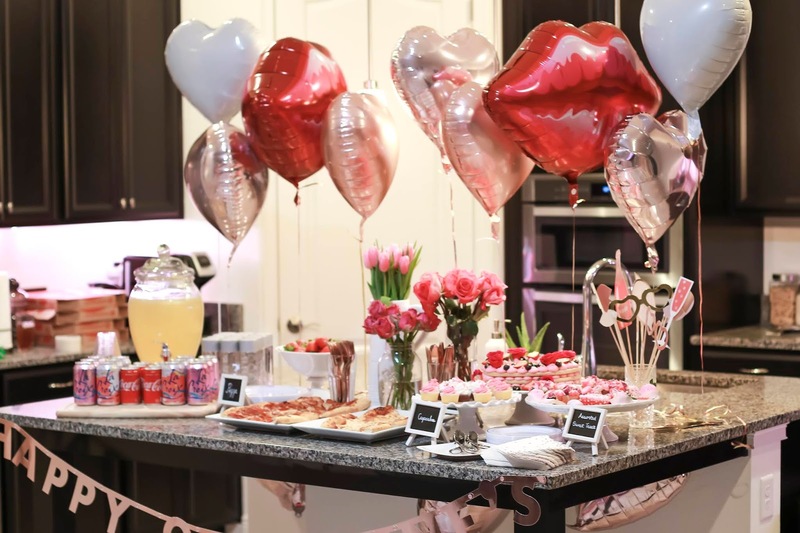 Looks like such a cute Galentine's day party!! & I love the decor! 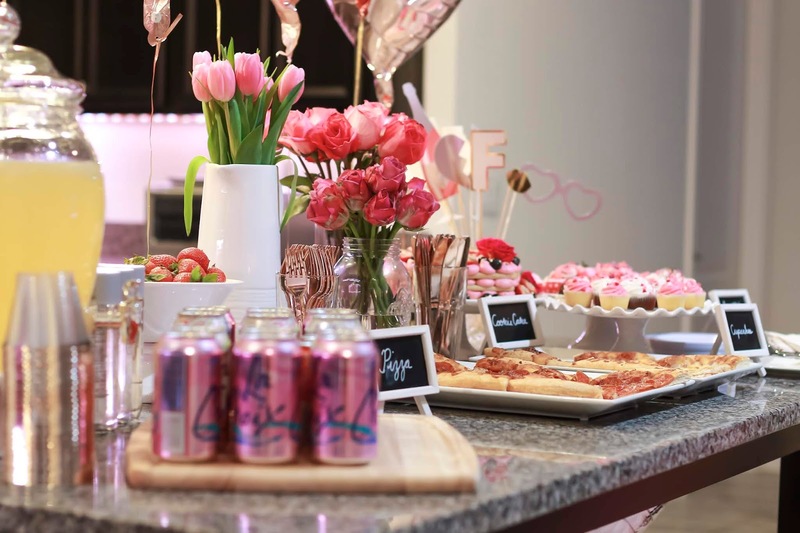 Your Galentine's Day party decor is SOOOOO cute!!! Love it! Looks like you had a great time! Awww! 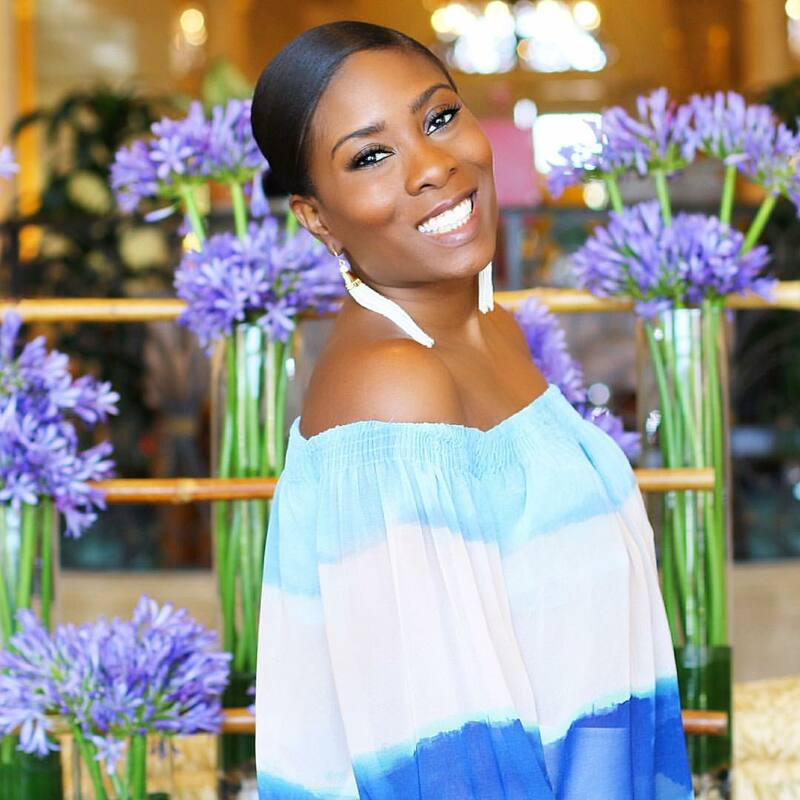 It looks like you had an amazing Galentines day girl! Hope you enjoyed it! 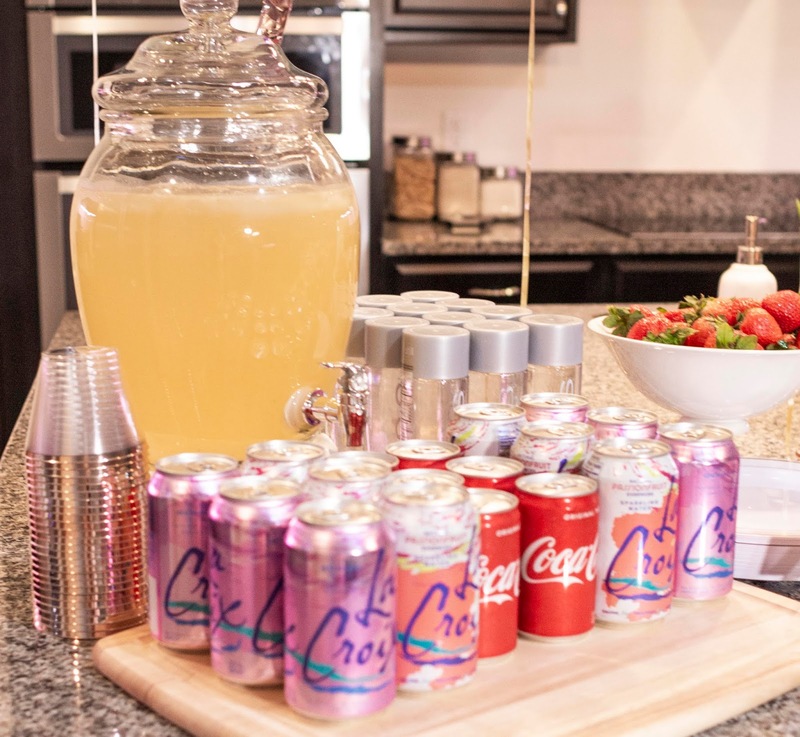 I love your setup-- looks like you gals had a fun party!